Home / Why not Espresso Wood? / Why not Espresso Wood? Two reasons- Dust & Scratches. The darker the color choice for your stained hardwood flooring, the more you will see pop from the bold, dark background color of the floor. You will find yourself using the Swiffer to pick up those dust bunnies more than you would like. 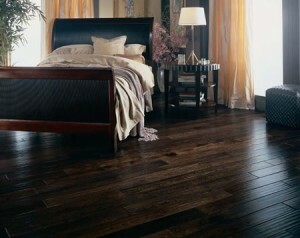 The darker tones do not hide scratches as well as a natural colored wood. When wood is scratched the top layer of stain is removed. Obviously the wood underneath is of the natural tone once the stain is gone, so your eye immediately is drawn to the honey color in the middle of the espresso flooring.